Five low-income families are expected to save more than $100,000 in power bills over the lifespan of the solar energy systems in their new Self-Help Homes. 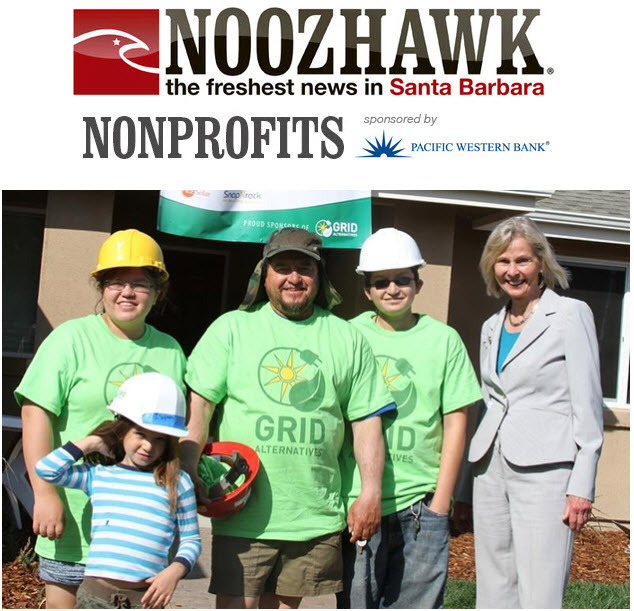 The new systems were installed by volunteers as part of a partnership between GRID Alternatives Central Coast and Peoples’ Self-Help Housing (PSHH). Organizations, volunteers and donors recently came together for the Central Coast Solarthon 2015. The event benefited the families who, as part of PSHH’s Self-Help Builder program, built much of their own homes that are located along Newman Lane and Hill and Coiner streets over the last one and a half years. Sponsors and fundraisers included Sunrun, Pacific Gas and Electric Company, NRG, Rabobank, Cal Poly Clubs and the Santa Ynez Band of Chumash Indians. Volunteers came from Cal Poly San Luis Obispo Liberal Arts and Engineering Studies Club, Emerging Green Professionals, International Student Volunteers, Society of Women Engineers, Systems Optimization Club and Alpha Rho Chi, as well as Troops for Solar from Vandenberg Air Force Base. Over their lifetime, the five installed solar systems are expected to together save $100,000 in electricity bills and prevent the emission of 348 tons of greenhouse gasses, the equivalent of planting more than 1 million trees.